Interview with a Director will have already made its debut by the time it appears for screening at the Cannes Film Festival; the short film is set to be released at the Chicago International Film Festival CineYouth on Saturday, May 7th. As of 2016, Flemish writer and director Ivana Noa is only thirteen years old. Despite her young age, however, the precocious teen already has more than four years of experience in the writing and filmmaking industry. At only nine years old, Noa won first place in The Wonder Quill, a Belgian writing competition aimed at aspiring child writers. One year later, when she was ten years old, Noa entered the world of film when she wrote her first script. In 2014, at just eleven years old, Noa directed her first short film, which was a narrative short entitled Feeling to Dive and Other Stories. Even though this film was the first cinematic piece Noa had ever officially directed, it was selected for screening at multiple international film festivals around the world. Feeling to Dive and Other Stories also won the award for Best Narrative Short at the Williamsburg International Film Festival. Noa did not waste any time in between her films; she released her second short film, Unofficial: Judo, in 2015 at the age of twelve. Like Feeling to Dive and Other Stories, Unofficial: Judo was selected to be featured at several international film festivals; the short film won prestigious awards at three international film festivals in Atlanta, Fort Lauderdale, and Williamsburg. Furthermore, the release of Unofficial: Judo earned Noa the Rising Star Award at the Chicago International Film Festival. Between the release of Unofficial: Judo and Interview with a Director, Noa wrote, directed, and released Actress, her third short film. Noa’s films are renowned for their unique incorporation of conceptual art sequences and original poetry that add to the creativity and emotion of the cinematic content. Due to her incredible talents and success as a writer and filmmaker at such an impressively young age, Noa has been selected to serve as a jury member at several renowned film festivals, including the Het Theater Festival, the European Youth Film Festival, and the Chicago Children Film Festival. Interview with a Director deals with the harsh realities of modern war and the suffering of those swept up in it and faces them head on. The interview dialogue mixed with Noa’s unique live art and poetry sequences threaded seamlessly throughout the film helps the short film plunge fearlessly into raw human emotion to create a realistic picture of real people who have been shattered by war but pick themselves up out of the ruins to find success and purpose in their lives. Interview with a Director follows the tragic yet inspiring life and story of Mokhallad Rasem. 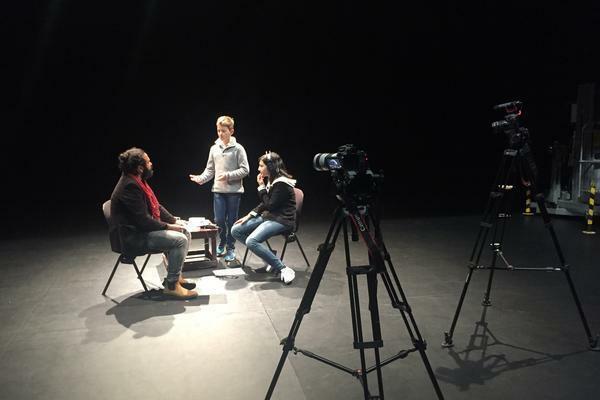 While Rasem is a real Iraqi­Belgian theater director, his role is played in the film by child actor Said Magomadov. The short film capitalizes on Rasem’s terrifying upbringing in a country torn apart by constant raging war and violence. Despite his difficult childhood, however, Rasem moves on to study hard and rise up to become one of the most respected and precocious young theater directors in Belgium and the Netherlands. Ivana Noa’s most recent short film does not ignore the tragic reality of an innocent child growing up in the midst of a war, but it manages to create a positive, inspiring portrayal of the true tale of Mokhallad Rasem’s rise to success. Ivana Noa has declared that her inspiration to create Interview with a Director stemmed from her personal feelings regarding the harmful nature of war for everyone involved. She also wanted to highlight the individuality and positive impacts of war refugees within her newest short film. 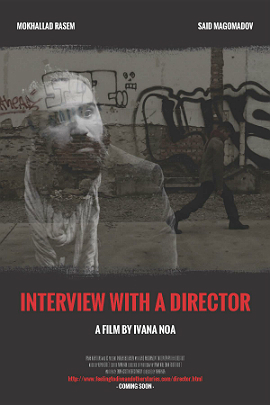 Interview with a Director is a profound and meaningful short documentary film that perfectly captures difficult themes like the reality of war through Ivana Noa’s unique, artful lens. 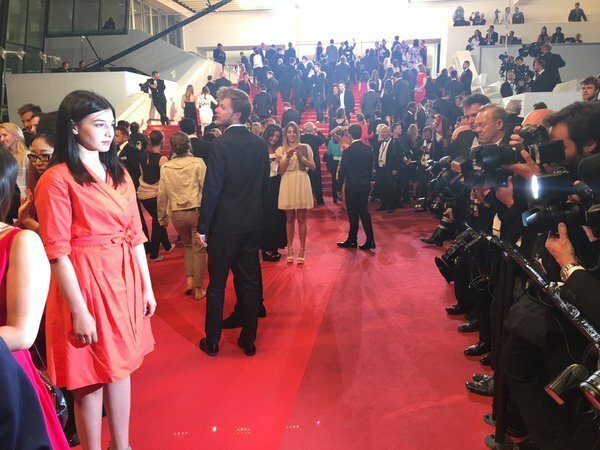 Attendees of the 2016 Cannes Film Festival do not want to miss the latest masterpiece of up­and­coming child director Ivana Noa.